Time to retire the board shorts and flip-flops. Up the ante this fall with cozy separates that impart both sense and style. Whether you're headed back to school or trudging to your cubicle, here are seven dapper basics that will give your autumn lineup a grade-A boost while treading lightly on the planet. 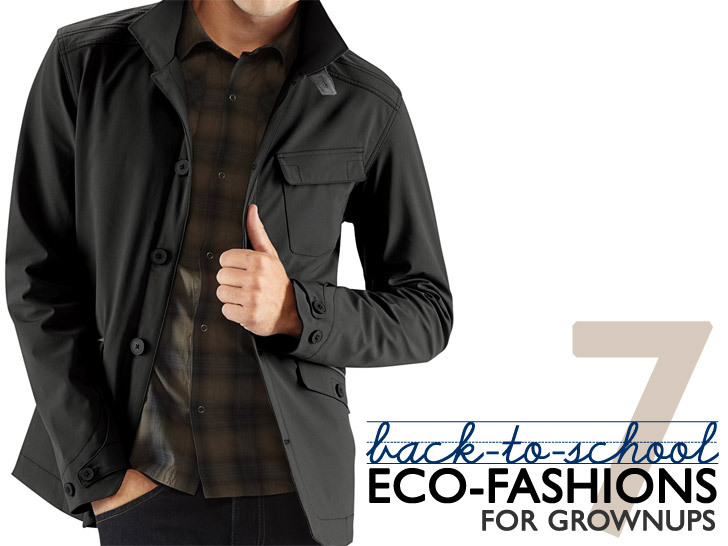 Above, Nau's Shroud of Purrin blazer ($350), made from water-repellent recycled polyester. No fall uniform is complete without a crisp oxford shirt. 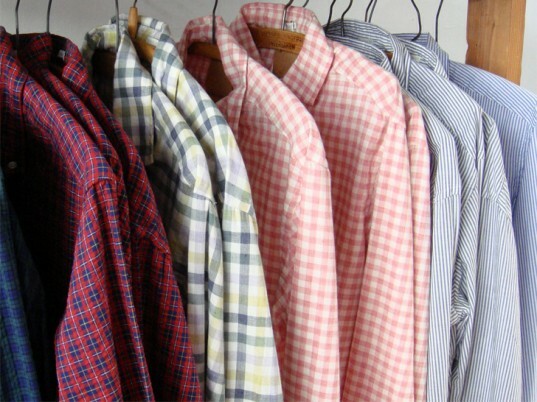 Taylor Stitch proudly designs, cuts, and sews its smart button-downs in California, where the label is based. Ranging from prim poplins to mellow Madras, each shirt features Massachusetts-made interfacing, domestically spun thread, and buttons derived from Amazonian corozo nuts. 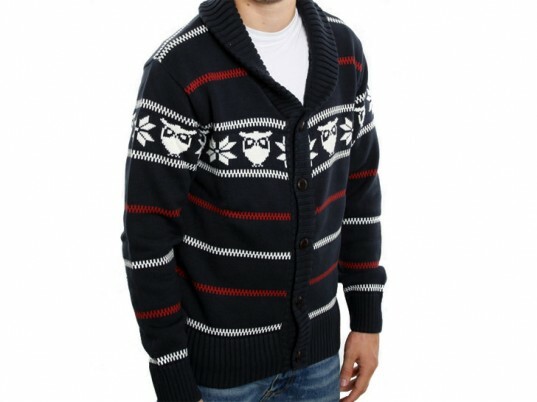 Hit the library stacks in a cozy jacquard cardigan by Knowledge Apparel. Made from 100 percent organic cotton and emblazoned with a quirky parliament of owls, the shawl-collar topper invokes wisdom with panache. A good pair of slacks are great for dressing up or down and Bonobos’s boot-cut chinos are sure to please. Fitted with a curved waistband to ameliorate bunching and lined with a preppy gingham fabric, the NYC-made khakis come in four different inseams so you can wear ’em out of the box. Leather belts are the undoubted leader on the pant-hoisting front, but they’re as ubiquitous as they are nondescript. 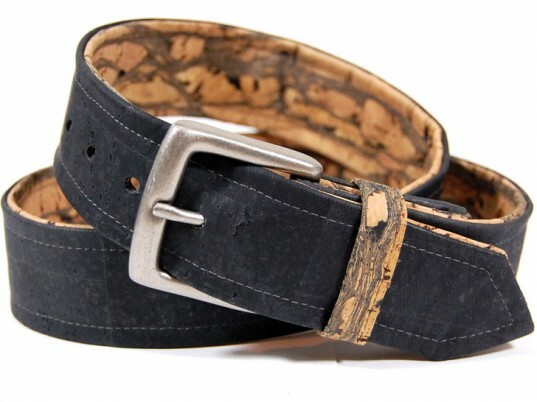 Cliff’s line of 100 percent cork belts add a refreshing patina to the wardrobe staple. Plus, each belt is reversible and machine-washable, which is more than we can say for cowhide. 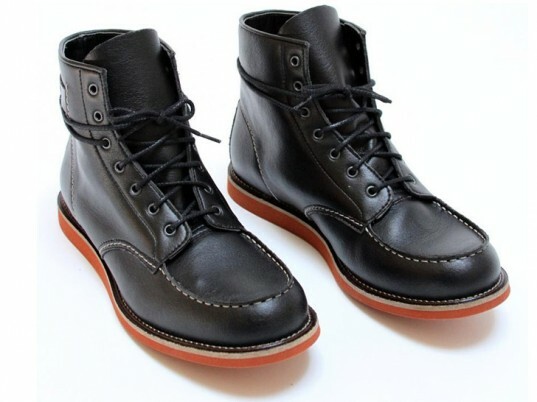 Trade those ratty sneakers for a modern, cruelty-free take on the traditional work boot. Fairly constructed in Portugal by Novacas for Brave GentleMan, each shoe comprises high-quality faux leather, a moccasin toe, and a durable lightweight sole that’s built to last. 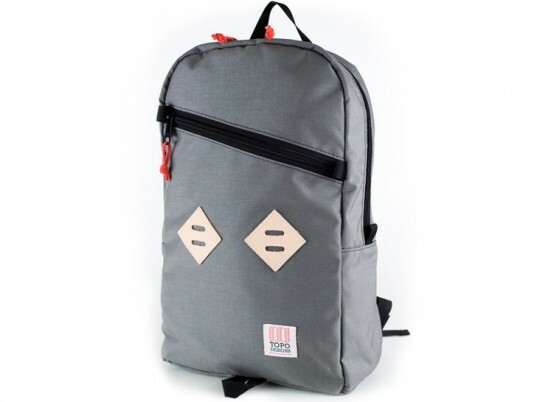 Corral pens, books, mash notes, and more in Topo Design’s daypack. Each one is handmade in an LEED-certified workshop in Colorado from 100-denier Cordura, a coated packcloth liner, reinforced straps, and military-grade-steel hardware. Bonus: Leather lash tags make it easy to secure extra gear or a bike light. A good pair of slacks are great for dressing up or down and Bonobos's boot-cut chinos are sure to please. 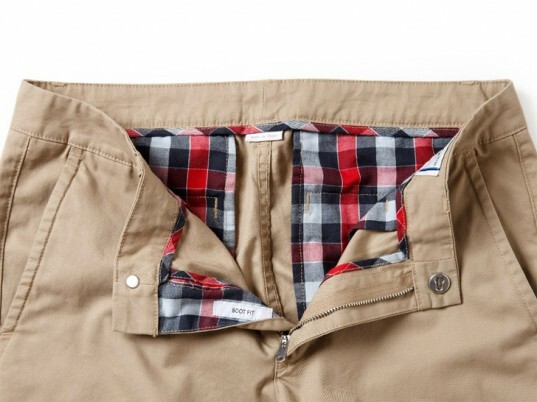 Fitted with a curved waistband to ameliorate bunching and lined with a preppy gingham fabric, the NYC-made khakis come in four different inseams so you can wear 'em out of the box. Leather belts are the undoubted leader on the pant-hoisting front, but they're as ubiquitous as they are nondescript. Cliff's line of 100 percent cork belts add a refreshing patina to the wardrobe staple. Plus, each belt is reversible and machine-washable, which is more than we can say for cowhide. Trade those ratty sneakers for a modern, cruelty-free take on the traditional work boot. Fairly constructed in Portugal by Novacas for Brave GentleMan, each shoe comprises high-quality faux leather, a moccasin toe, and a durable lightweight sole that's built to last. Corral pens, books, mash notes, and more in Topo Design's daypack. Each one is handmade in an LEED-certified workshop in Colorado from 100-denier Cordura, a coated packcloth liner, reinforced straps, and military-grade-steel hardware. Bonus: Leather lash tags make it easy to secure extra gear or a bike light.